The Story: At about 20 meters I was looking for in the sand so I noticed in little algae some movements. 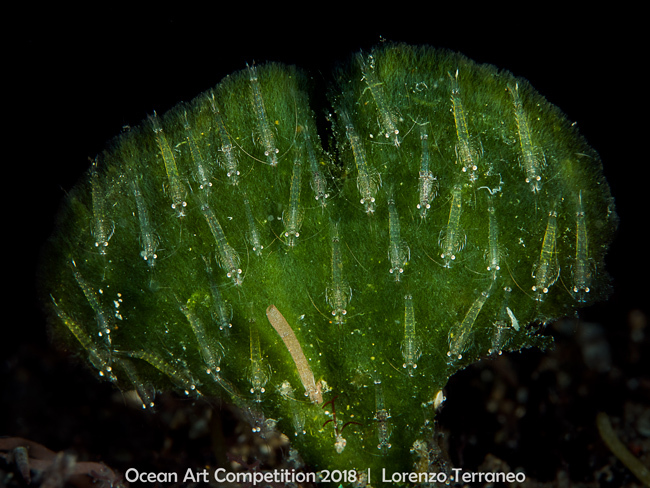 With the camera (macro lens and wet lens) I could recognize some little shrimps but they moved themselves very fast, so I tried with some algae before find the one with the higher number of animals. Another difficulty was find the best position to have maximum magnification rate (supermacro) for this very little subjects. This shot is very rare for the high number of shrimps.